A Palestinian leadership vacuum looms due to the ill health of the secretary general of the Palestine Liberation Organization (PLO), Saeb Erekat, and the frailty of the Palestinian Authority (PA) President Mahmoud Abbas, who also heads the PLO and its main constituent party Fatah. The PA has largely co-opted the PLO, with Abbas ruling by diktat in an increasingly authoritarian manner, most recently cracking down on Palestinian use of social media. Yet despite its limitations, the PLO remains the body that has the most legitimacy among the Palestinian people under occupation, in Israel, and in the diaspora. 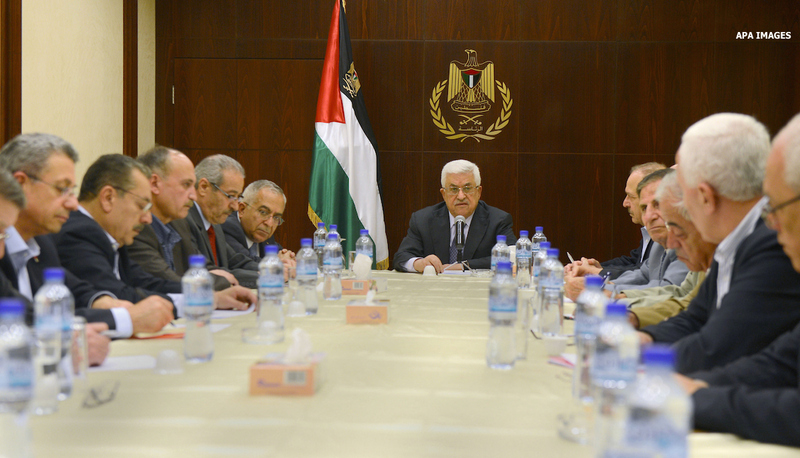 Earlier this month Fatah’s Central Council called for a meeting of the Palestinian National Council (PNC), which serves as the Palestinian parliament in exile and has only met twice since the PA was established. The PLO Executive Committee is considering the call, but the parameters and purpose of the meeting have yet to be defined, and convening a meeting without agreement on the basics, including on the representation of major political factions hitherto excluded from the PLO, would be detrimental to the national project. Against this background, Al-Shabaka has pulled together a selection of pieces from its archives in which its policy analysts discuss issues related to the reform of PLO institutions and questions of legitimate political representation. Al-Shabaka policy analysts are available for media interviews. Please email [email protected] for more details. 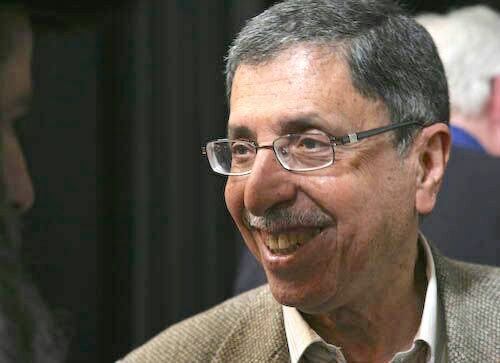 Al-Shabaka Policy Advisor Toufic Haddad is a Palestinian-American writer based in Jerusalem. He is the co-author and editor of Between the Lines: Readings in Israel, the Palesinians, and the U.S. 'War on Terror'. (Haymarket Books, 2007, co-written with Israeli author Tikva Honig-Parnass) and Towards a New Internationalism: Readings in Globalization, the Global Justice Movement and Palestinian Liberation (Muwatin: Ramallah 2006, [Arabic] co- written with Ala el Azzeh.) His writings on the Israeli-Palestinian conflict have been featured in The National, Al Jazeera English (web), Journal of Palestine Studies, Monthly Review Zine, Znet, Counterpunch, International Socialist Review, and Socialist Worker. Al-Shabaka Policy Advisor Rana Barakat is an assistant professor of history and contemporary Arab studies at Birzeit University in Palestine. She received her Ph.D. from the University of Chicago writing about popular politics and resistance in early twentieth century Palestine. 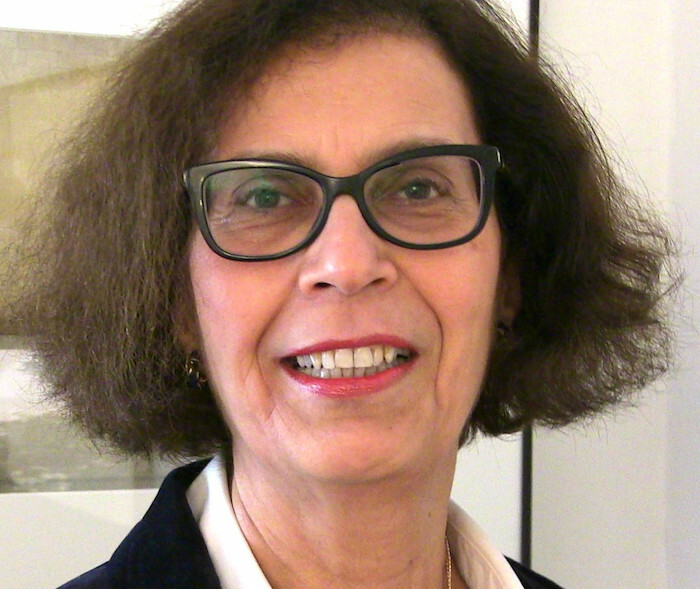 Her research interests include the social history of Jerusalem, colonialism, and revolutionary social movements. Al-Shabaka Policy Advisor Mouni Rabbani is an independent writer and analyst specializing in Palestinian affairs and the Arab-Israeli conflict. He is a senior fellow at the Institute for Palestine Studies and is a Contributing Editor to the Middle East Report. His articles have also appeared in The National and he has provided comments for The New York Times. 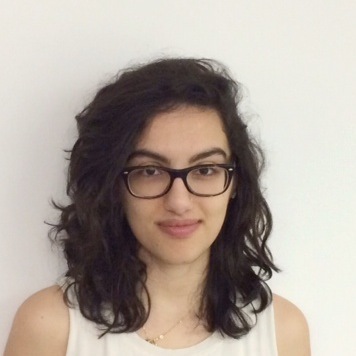 Dina Omar is a writer and a graduate student studying Anthropology at Yale. She is a founding member of Students for Justice in Palestine-National and serves on the National Executive Board of the Palestine Youth Movement. Al-Shabaka Policy Member Fajr Harb is a Palestinian political activist. He is currently the Assistant Director of The Carter Center Field Office in Ramallah. In addition to his experience in advocacy and fundraising, he has an academic background and training in the United States in both engineering and economic development. Al-Shabaka Policy Advisor Hani Al-Masri is Director General of Masarat, the Palestinian Center for Policy Research and Strategic Studies. He founded and was director general of the Palestinian Media, Research and Studies Centre, Badael, between 2005 and 2011. He has published hundreds of articles, research and policy papers in Palestinian and Arab magazines and newspapers including Al-Ayyam and Al-Safir. He previously served as General Manager of the Printing & Publication Department at the Ministry of Information and as a member of the Committee on Government in the Commission of Dialogue held in Cairo in 2009. He is a member of the board of trustees at the Yasser Arafat Foundation. 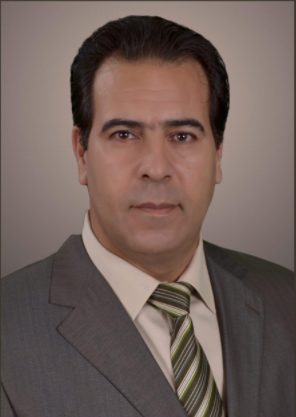 Al-Shabaka Policy Advisor As'ad Ghanem is a senior lecturer at the School of Political Sciences, University of Haifa. 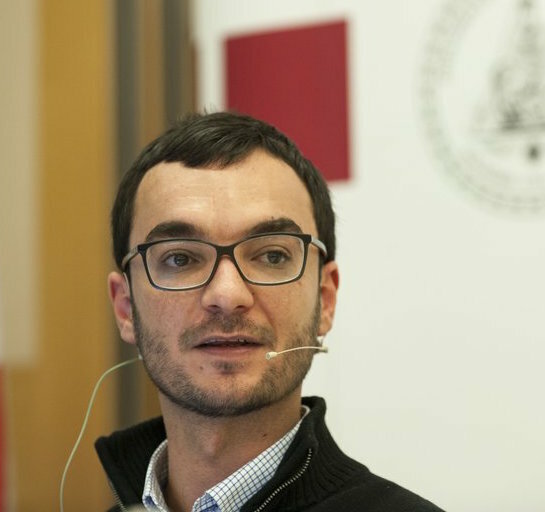 Ghanem's theoretical work has explored the legal, institutional and political conditions in ethnic states. He has covered issues such as Palestinian political orientations, the establishment and political structure of the Palestinian Authority, and majority-minority politics in a comparative perspective. His books include Palestinian Politics after Arafat: A Failed National Movement (Indiana Series in Middle East Studies). Ghanem has initiated several empowerment programs for Palestinians in Israel. Al-Shabaka Policy Advisor Aziza Khalidi serves on the board of the Najdeh Association and is a founding member of the Forum of Palestinian women in Lebanon, a network of non-governmental organizations promoting the implementation of the Convention on the Elimination of Discrimination Against Women. She is also affiliated to the faculty of economics and business administration at the Islamic University of Lebanon. She works as a freelance research consultant in areas pertaining to health and development for refugees in general, gender issues, and elderly. Contributed to design, implementation and report write up of several field surveys. Al-Shabaka Policy Advisor Sam Bahour does business consulting as Applied Information Management (AIM), specializing in business development with a niche focus on the information technology sector and start-ups. He is also the Chairman of Americans for a Vibrant Palestinian Economy. He helped establish PALTEL and the PLAZA Shopping Center. Until recently, he served on the board of trustees of Birzeit University and was the University’s treasurer. He is also a Director at the Arab Islamic Bank and a board member at Just Vision. Bahour is co-editor of HOMELAND: Oral History of Palestine and Palestinians (Olive Branch Press). He writes frequently on Palestinian affairs and his work is posted at www.epalestine.com. Al-Shabaka Policy Advisor Jaber Suleiman is an independent researcher/consultant in Refugee Studies. Since 2011, he has been working as a consultant and coordinator for the Lebanese Palestinian Dialogue Forum at the Common Space Initiative, UNDP Support Project on Consensus Building, and Civil Peace in Lebanon. Between 2007 and 2010, he worked as a consultant for the Palestinian program of UNICEF in Palestinian refugee camps of Lebanon. He was a Visiting Study Fellow at the Refugee Studies Program, University of Oxford. He is also a co-founder of Aidoun Group & the Centre for Refugee Rights/Aidoun, and has written several studies dealing with Palestinian refugees and the right of return. Al-Shabaka Policy Advisor Diana Buttu is a lawyer who previously served as a legal advisor to the Palestinian negotiating team and was part of the team that assisted in the successful litigation of the Wall before the International Court of Justice. She frequently comments on Palestine for international news media outlets such as CNN and BBC; is a political analyst for Al Jazeera International and is a regular contributor to The Middle East magazine. She maintains a law practice in Palestine, focusing on international human rights law. Al-Shabaka Policy Member Basem Ezbidi currently teaches at the Honors Program and the Department of International Affairs at Qatar University. He previously worked at Birzeit University as part of the department of Political Science and the Master program of Democracy and Human Rights. Ezbidi holds a Ph.D. in political theory from the University of Cincinnati in the United States. He has written on Hamas, state-building, and the West and the Moslem World. 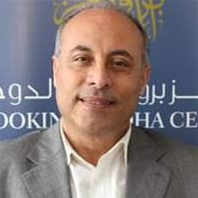 Among his publications, The Muslim World and the West – A Muslim Perspective; Coauthor of “Palestinian National Authority and the Future of State Formation”, and ‘Hamas and Palestinian Statehood’; Co-editor of "Popular Protest In The New Middle East: Islamism and Post-Islamist Politics''. Al-Shabaka Policy Member Amal Ahmad is a Palestinian economic researcher. Amal interned at the Palestine Economic Policy Research Institute in Ramallah before completing a Master’s degree in development economics at the School of Oriental and African Studies, London. Her work focuses on fiscal and monetary relations between Israel and Palestine; she is also interested in the political economy of development in the broader Middle East. 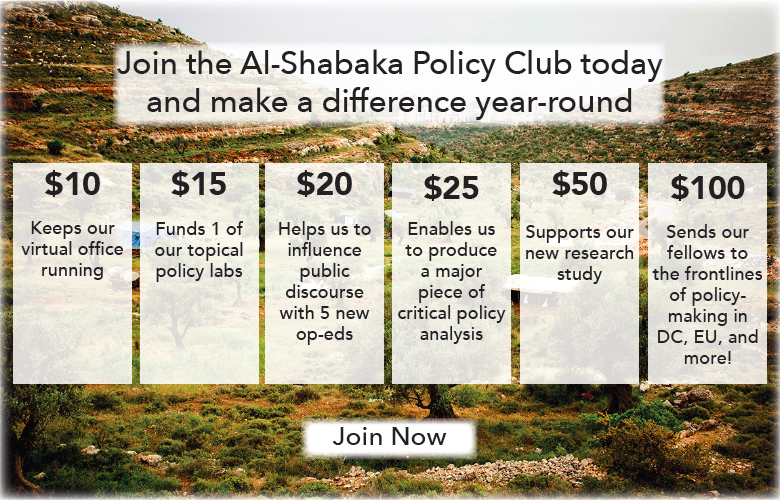 Nadia Hijab is co-founder and board president of Al-Shabaka: The Palestinian Policy Network. She served as its Executive Director between 2011 and March 2018. A writer, public speaker and media commentator, Hijab’s first book, Womanpower: The Arab debate on women at work was published by Cambridge University Press and she co-authored Citizens Apart: A Portrait of Palestinians in Israel (I. B. Tauris). She was Editor-in-Chief of the London-based Middle East magazine before serving at the United Nations in New York. She is a co-founder and former co-chair of the US Campaign for Palestinian Rights and now serves on its advisory board.